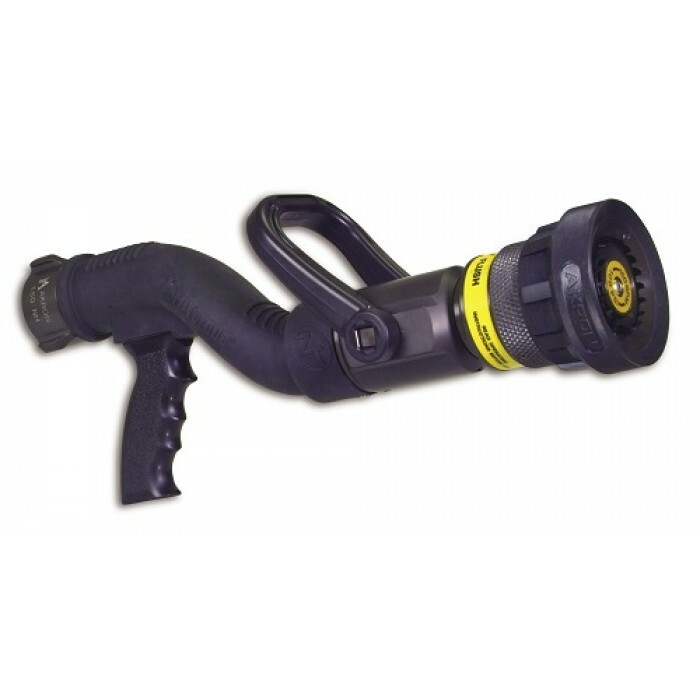 The ZT naturally keeps the nozzle out in front of the firefighter to allow for easier operation and provide better control. 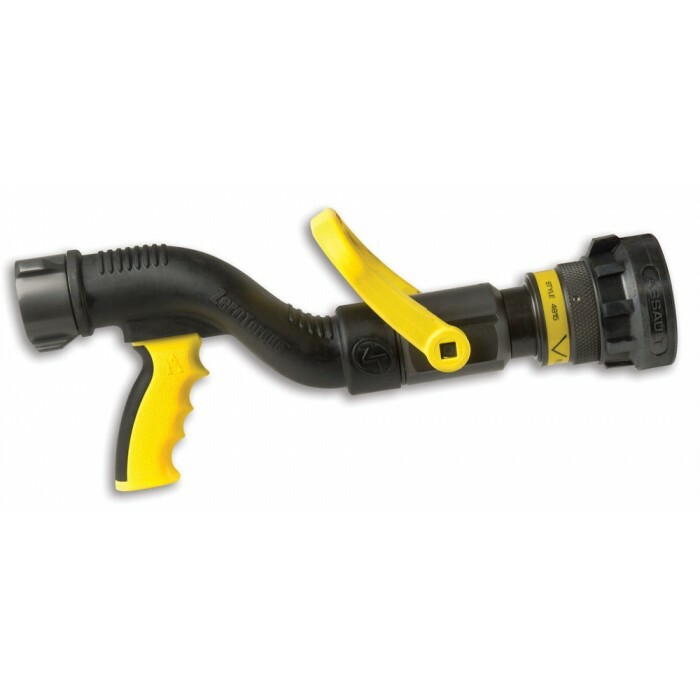 In addition the pistol grip and inlet swivel are positioned to eliminate the reaction force torque found in all conventional pistol grip designs. 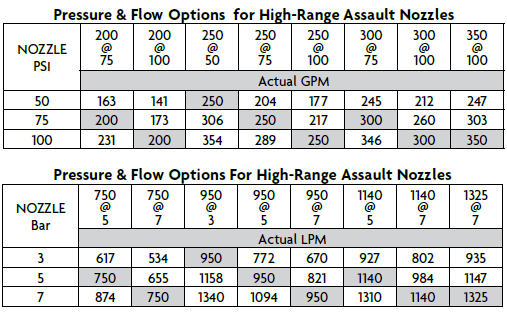 Conventional pistol grip nozzles are held at a position 3 1/2" to 4" below the center line of discharge, creating a natural torque which must be resisted by the firefighter. 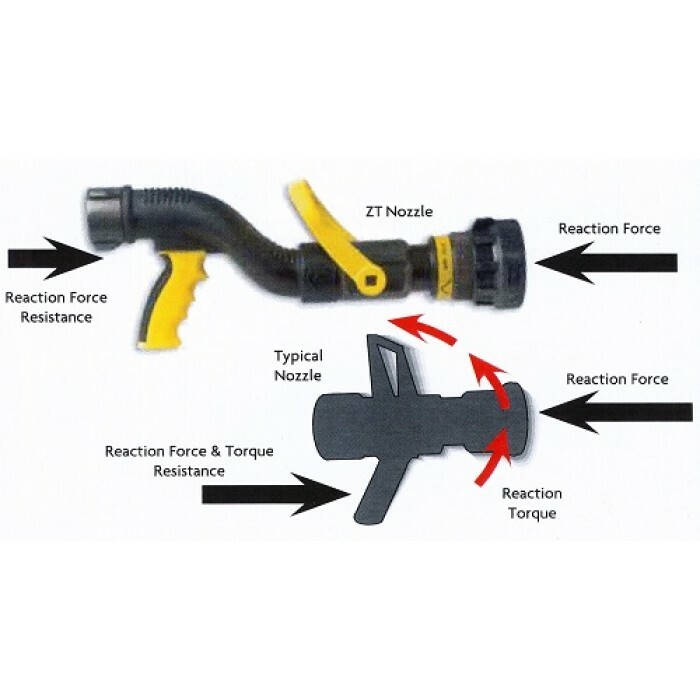 The ZT is positioned to eliminate the torque, leaving only the straight reaction force for the firefighter to resist.